1-3 March 2018 in Moscow will be held XXXII international exhibition "Wedding, Evening Fashion and Accessories". DOLINA MOD once again invites you to visit its stand at the exhibition. The event will be held in pavilion 75 VDNH. "Wedding Fashion Moscow" - is a largest European exhibition, which has been held for almost 20 years in Moscow. 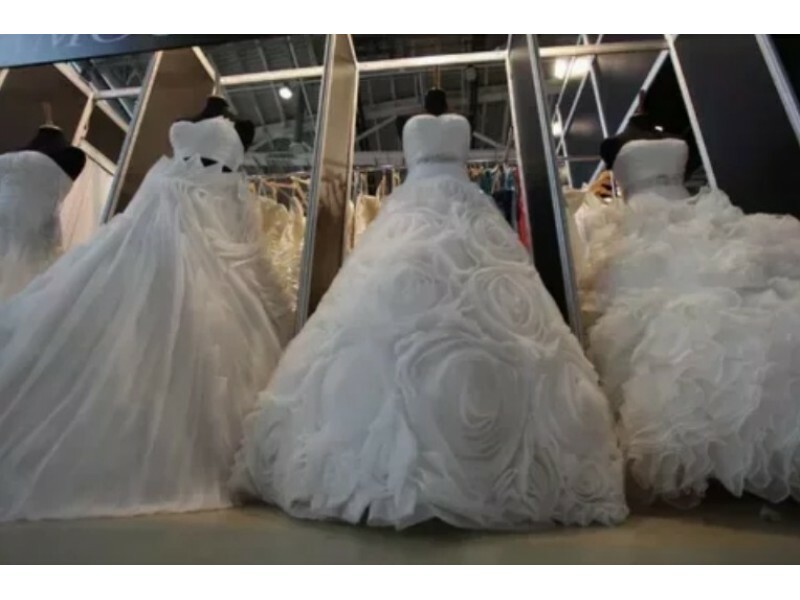 The exhibition brings together the best producers of wedding, evening dresses, men's suits, accessories, jewelry, wedding shoes, children's formal clothing. Participants of the exhibition will be traditionally well-established company not only in the countries of the former Soviet Union but also far beyond its borders. Among them: TO BE BRIDE, SEMIDA SPOSA, PRESTIGE, OKSANA MUKHA, ROSALLI, Eura wrzesinski, LINE KOSS, SHARMEL, IRINA SUITE, BUSINESS WEDDING, DOMINISS, PROMESSA, HADASSA, MARIPOSA, OLGA SPOSA, NATALIA WEDDING STYLE, DOVITA BRIDAL, BRIDE NAVA, MENBUR, NAVIBLUE, TERANI COUTURE, TARIK EDIZ, UNALLAR, DOLINA MOD, HOUSE of WEDDING, LOVE STORY, WORLD, JAN STEEN, EMPIRE STYLE, NATASHA BOVYKINA, KOTAPSKA, SONIA FASHION, WEDDING PARADISE, CAROLINA, VIP NEVESTA, ANELLY, LOUISA PEERESS, ARTFLORATEX, UNONA, PETALLI BY DEM ITALIANA, SEAM, TARIK EDIZ, LARA, WHITE ROSE, BLAGOY ART, AMORE MIO, EVA UTKINA, ANASTASIA SP, ENIGMA, HOUSE WEDDING, SV OPTOM, ALTEZA and many others. Will be presented and a new company, ready for the first time to present their collections to the world and firmly occupy a niche in the wedding market. They will conquer and surprise long sophisticated clients. DOLINA MOD ready for new meetings with clients to special offer the interesting terms of collaboration and crisis collections for optimally fast to overcome all the difficulties of the current economic situation. Don't miss the main event in the world of wedding fashion!